Last spring, Wofford held a conference to commemorate and study the 70th anniversary of what is commonly called South Carolina’s last lynching, the murder of Willie Earle. 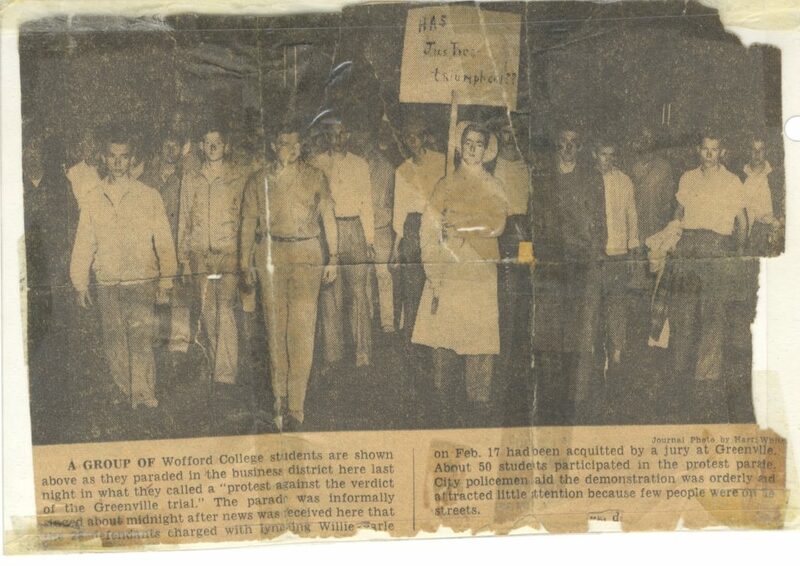 As part of the event, I was given a copy of this newspaper clipping, which is a photo of a group of Wofford students marching in downtown Spartanburg in protest of the outcome of the trial (which was held in Greenville). As I was cleaning up around my desk this week, I found it and realized I’d never shared it here.